A how-to, mini book is really a procedural mini book about a classroom or life experience. It's a young student's first introduction to technical writing because they have to remember, write and/or illustrate the steps of a process or procedure. In this series of articles, students have been learning all about the gingerbread man. In the previous lesson plan, the students learned how to measure, bake and decorate gingerbread cookies. Today, the students will learn how to document their experience in a mini book, called a how-to book. 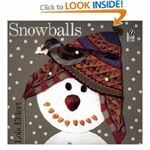 Below you will find a lesson on this technical style of writing using the book, Snowballs and then the students get to create their own, How to Make Gingerbread Cookies, book. A mini-book (half sheet of writing paper) or print story paper from First School. Discuss yesterday's lesson of baking gingerbread cookies (as per the lesson plan below). Talk to the students about each step in the process. First, roll a small, medium and large ball of snow (and illustrate). Then, stack the snowballs, with the largest at the bottom, the medium snowball in the middle and the smallest snowball on the top (and illustrate). 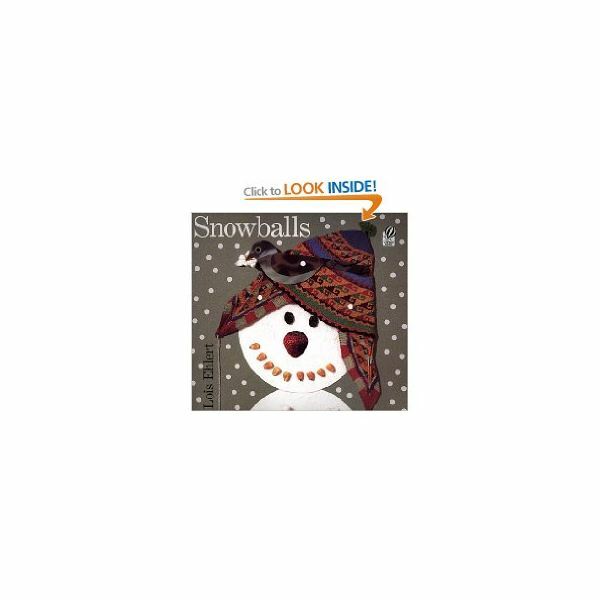 Next, find two rocks for the eyes, a carrot for the nose and some seeds for the smile and make the snowman's face on the smallest snowball (and illustrate). Last, put on a hat and scarf and use twigs for the arms and you have a snowman (and illustrate). Tell the students that they are going to make a how-to book today. Prior to beginning the book, create a list, ordering the steps they took to bake the gingerbread cookies. This will help them to organize their how-to books later. Show them the mini-book (or story) paper. Have them create a cover for the book. Before beginning to write, have the students touch each page and say the steps that they listed to make sure that they have all of the steps and enough pages. Walk around the room as they do. *Note- Younger students can label the pictures or simply dictate their steps as they "read" their illustrations back to you. Allow each student to use his or her own imagination. Some students would like to say, "first you go to the Home and Careers room", and still others may list the ingredients that they needed. Assess the mini-books for content. Can the students create a step by step procedure for the reader to follow? Do the pictures match the story? Neat handwriting is always expected. Having students write about their authentic learning experiences is good practice. They will certainly enjoy writing it all down! Making their own gingerbread books is a great way to celebrate their accomplishments. Enjoy! Article is courtesy of Laurie Patsalides' classroom experience.